This book is unlike any I’ve ever read. It’s so wholly original that I think my mind is permanently blown. I read it because someone whose literary opinion I have reason to trust said it is a masterpiece, which was good enough for me. I can’t even really begin to explain what this book is about. (No spoilers here.) It’s about a family living and working in a place called Swamplandia! It’s a theme park and an island and it’s falling apart all around them. 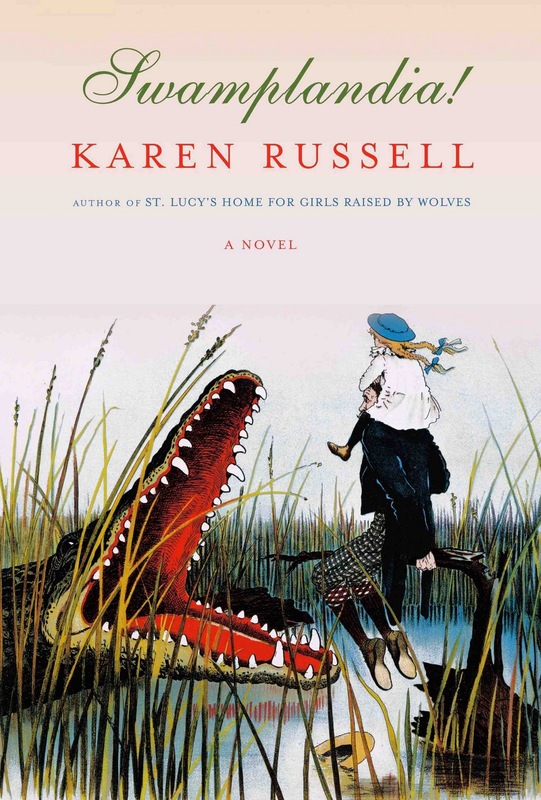 It is a book about children that’s not for children and a book about alligators and swamps and ghosts and running away and coming home. It’s a really dense book in that way where you feel like every word in every sentence really says something and really matters. It is magnificent, basically, and I Loved it with a capital L.
He went on accumulating beginnings. All this possibility made me dizzy with a strange kind of grief. I wrote M-O-M? on the Ouija wood, wishing for dark vegetables, punishments. Her courage. In the cave I think she must have lent me some of it, because the strength I felt then was as huge as the sun. The yellow inside you that makes you want to live. “I’m not going anywhere,” she told me that night. But until we are old ladies — a cypress age, a Sawtooth age — I will continue to link arms with her, in public, in private, in a panic of love. I think you should read this book if you like things that are amazing. I’m glad you reminded me of this book. I tried to put it on hold at the library a few months ago, but it wasn’t in yet. They should have it by now! Glad you loved it, I read a sample and it seemed so interesting. Always good to hear from you, M. I’ll be interested in what you thought of it when you’re done. I really was blown away by it. Angie – that’s awesome! Let me know what you think. It’s just so good. I finished it last night So many layers, so much emotion; I’m definitely going to have to reread it a time or two just to really absorb it all. For some reason, the part where Ava was on her own in the swamp/sawgrass reminded me of “Their Eyes Were Watching God”. The whole book was like that, just full of all these little threads that were just waiting to be unraveled. I know! Insanely good and definitely meant to be re-read. I’m so glad you liked it. © elizalou.com 2015. All Rights Reserved.